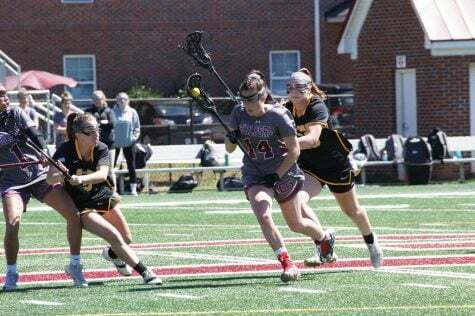 The Guilford College Track & Field teams have been putting themselves in the record book throughout this season. The team had a solid indoor season and has been continuing their success in the outdoor season. Director of Track & Field/Cross Country Operations Marty Owens has seen the tea improve weekly throughout the season. In a change from the last season, the team is competing at more mostly-Division III meets and less meets with Division I opponents. There have been a lot of advantages for the team at the Division III meets and the jumpers have taken the opportunity to make many finals and get more jumps. With the extra opportunities, many individuals have gotten marks in the top-10 in school history. The season started with first-year Ranicha Sargeant setting a new record in the 60-meter dash with a time of 8.49 at the JDL Early Bird Duals on Dec. 2, 2018. She tied her record at the Finn Pincus Invitational on Jan. 26. Sargeant holds three of the top-five times in school history in the indoor 60-meter dash. At the ODAC Indoor Championships, sophomore Jamie Britt set the long jump school record with a leap of 4.71, besting the 4.66 mark that Sargeant had at the Finn Pincus Invitational. Marian Cooper leads the long distance runners and holds the sixth-best 3000-meter and third-best 5000-meter times in school history. Since the outdoor season has begun, the women have closed in on some records. The quad of Sophomore Zarea Putts, Sophomore Carmen Curtis, Britt and Sargeant ran a 52.25 at the Dr. Jack Toms Invitational to sit second in Guilford history in the 4×100-meter relay. The Quakers’ first-year Alexis Waddell had the second-longest discus throw in school history with a 30.23 meter toss at The Adidas Trojan Challenge. Senior Shannon Petsch had a 26.57-meter javelin toss, which sits in fourth in school history. The program has 16 student-athletes on each team have been working hard to build up the program. 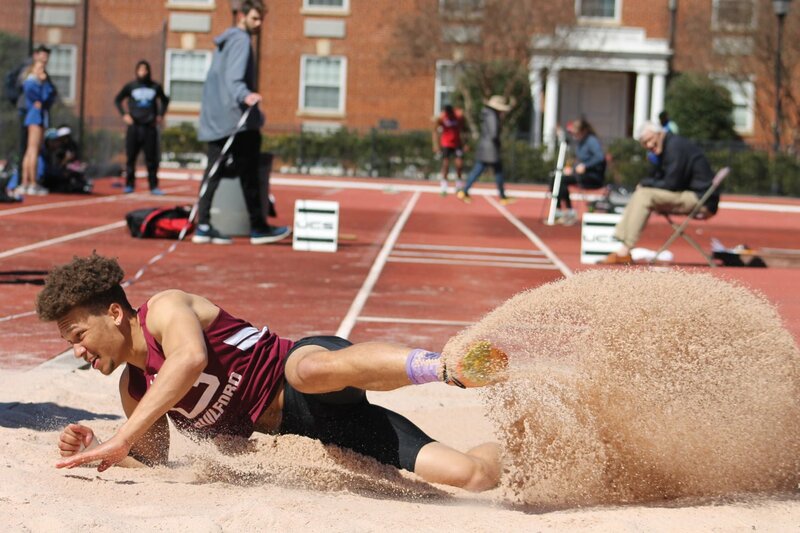 This year, Guilford have four of the top outdoor long jump times in school history. Britt holds first and fourth place, Pitts sits in 6th and Sargeant is in eighth. Britt’s top mark of 4.94 meters at the W&L Carnival is .25 meters longer than second place. The men’s team has seen some impressive individual performances. Junior Juwan Houston had the sixth-best time in the 60-meter hurdles at the ODAC Indoor Championship. Houston holds the top eight marks in school history, setting the best mark of 8.51 at the ODAC Indoor championship on Feb. 25, 2018. Junior Jeremiah Hedrick had a leap of 13.16 meters in the long jump at the Last Minute Invitational to rank second in school history. In the outdoor season, Houston set the fourth-best mark in 110-meter High Hurdles with a time of 16.03 at the Dr. Jack Toms Invitational. Houston, Hedrick, Tre Alexander and Asa Bell ran the sixth-best time in school history in the 4×100 at the W&L Carnival. Alexander also set the third best leap with a 7.76 meter long jump at the W&L Carnival. The teams will compete at the Phoenix Invitational at Elon University on April 6 and the Wildcat Invitation at Randolph College on April 12-13 before the ODAC Outdoor Championship on April 19-20.